The volunteer rigs lined up! One of the Erb Brothers Transport trucks, always huge helpers of the Angels. 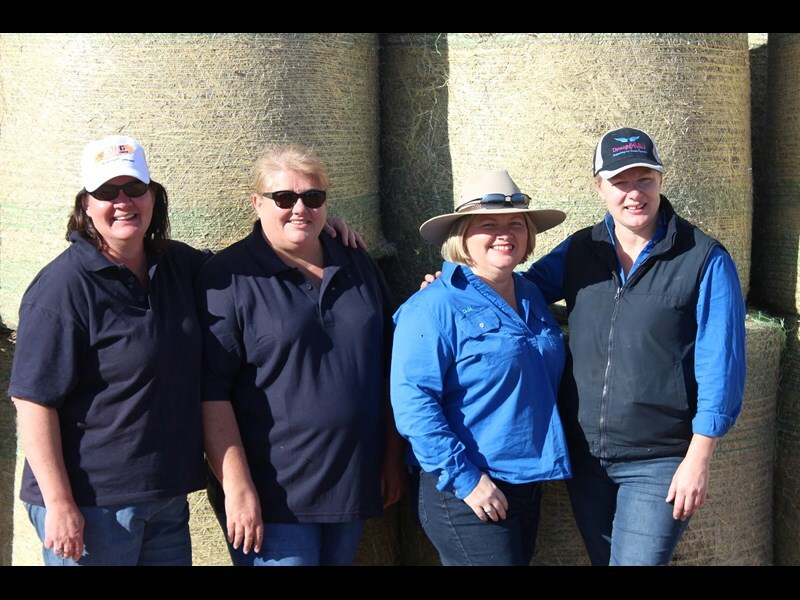 Since the Drought Angels kicked things off in 2014, co-founders Nicki Blackwell and Tash Johnston have endeavoured to provide aid to as many struggling regional areas as possible. 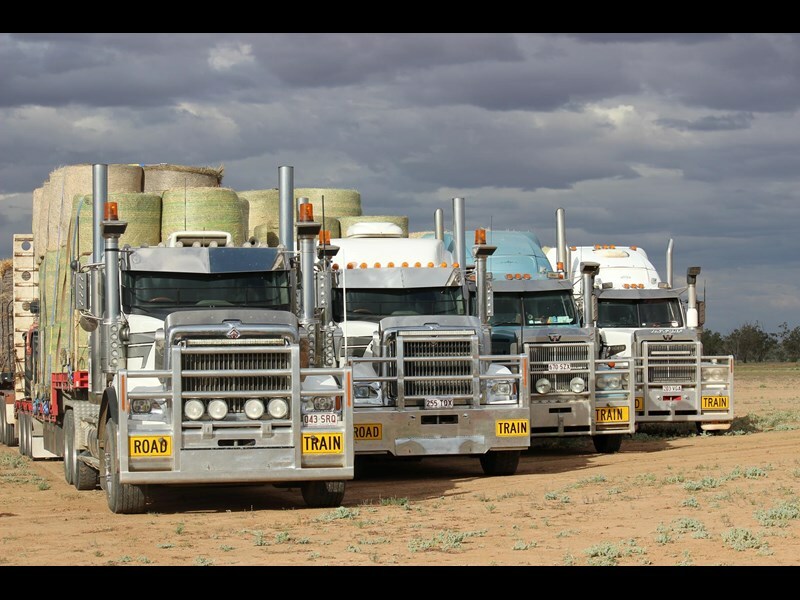 The Drought Angels’ work is made possible by generous truckies, donations, and a host of volunteers. The first run of 2017 is set to help 23 families doing it tough in Auburn on April 1, offering up hay, cotton seed, dog food, and stock feed. Administrator and social media volunteer Kylee Lyon says it’s all about helping communities that need it most with face-to-face support. "Drought Angels have been doing this for three years and our focus is really helping one community at a time," Kylee said. "We’ve grown a lot over the past 15 months, and we’ve now helped 11 communities across the three years." 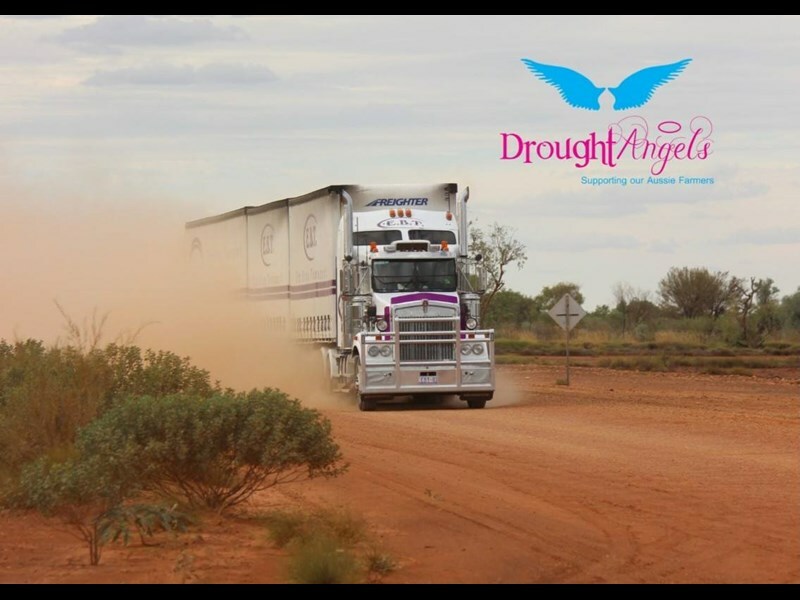 Kylee emphasised the Drought Angels’ need for donations, all of which are used to help pay fuel costs for the trucks, farming supplies and local store vouchers. "We’ve got six trucks helping us for the Auburn run, all owner drivers," she said. "We are still trying to raise funds because we try and give the drivers fuel money and it’s only possible with donations." Drought Angels co-founder Tash Johnston says the reason for choosing Auburn is based around the lack of rain the region has seen in recent times. "In the last couple weeks these guys have had a little rain, but nowhere near enough – they haven’t had proper rain for about two years now," Tash said. The Angels are planning on a doing a couple more runs across 2017, but Tash says at this stage they’re still deciding where they’ll go based on donations. The hay for the Auburn run was purchased and is set to be transported on the day, but the Angels also have hay in Kerang, Victoria, that needs to make its way to some south-west Surat properties. "We still need trucks to help get us the hay from Kerang to the Surat region," Tash said. "We would probably need about half a dozen but we cover freight costs, we just need people willing to donate their time and truck."